Hay hay! Hope you all had a fun holiday weekend! Today, Steve and I are driving to the Finger Lakes region for a little getaway (and mucho wine tasting!) before we head back to Buffalo for our friend’s wedding. I’m so delighted to have my friend McKenzie of Nourish RDs on the blog today. McKenzie is probably the sweetest person you’ll ever meet – seriously. Her smile and laugh is contagious and I absolutely adore her. She is recently engaged as well (#bridetobeRDs) and we hopped on the phone a couple months ago to share our wedding planning updates. 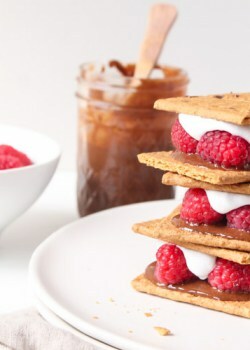 She’s got a pretty delicious summer dessert recipe to share with us today that I can’t wait to try! Thanks so much, McKenzie for hanging on the blog with us today! Hi everyone! I’m so happy to be filling in for Kara today while she’s away. I’ve been a big fan of her blog and her gorgeous plant-based recipes since the beginning, so when I found out I was going to be sharing a recipe with her readers, I knew I wanted it to be a special one. People who know me, know that I’m a bit summer-obsessed. The photograph above my mantel is of colorful umbrellas scattered along a white sandy beach, the scent of sunscreen is my absolute favorite, and I look forward to the flavors associated with summer all year long. 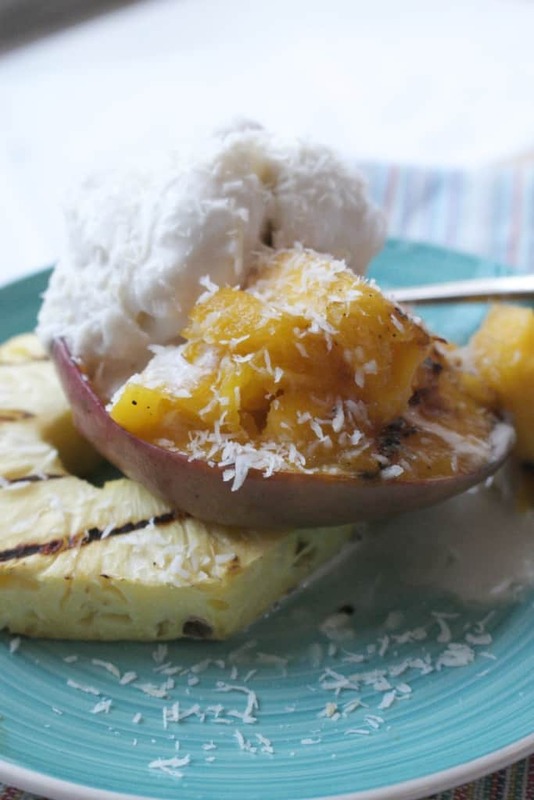 That’s where this recipe for Grilled Mango and Pineapple with Coconut Pineapple Sorbet was born. It combines all the flavors in one of summer’s best-known beverages: a piña colada. I also feel that grilled fruit is a bit underrated. As someone who embraces her sweet tooth (I’ve found it only backfires if I don’t give it some attention from time to time), I really appreciate fruit-filled desserts since the naturally occurring sugars found in fruit caramelize when heated creating a more intense, sweet flavor. And when you eat naturally occurring sugars from whole foods, you’re also benefiting from the inherently good properties from those foods, such as fiber, antioxidants, and vitamins and minerals that keep our bodies humming like smooth operating machines. 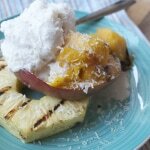 For those of us that are still amateur grillers (admittedly, I fall into this category), trust me when I say that grilling fruit is so simple. It’s a good way for beginner grillers to practice their skills. So, soak up the summertime warmth and in-season produce. Tell your hamburger (or veggie burger) to step aside for a bit. 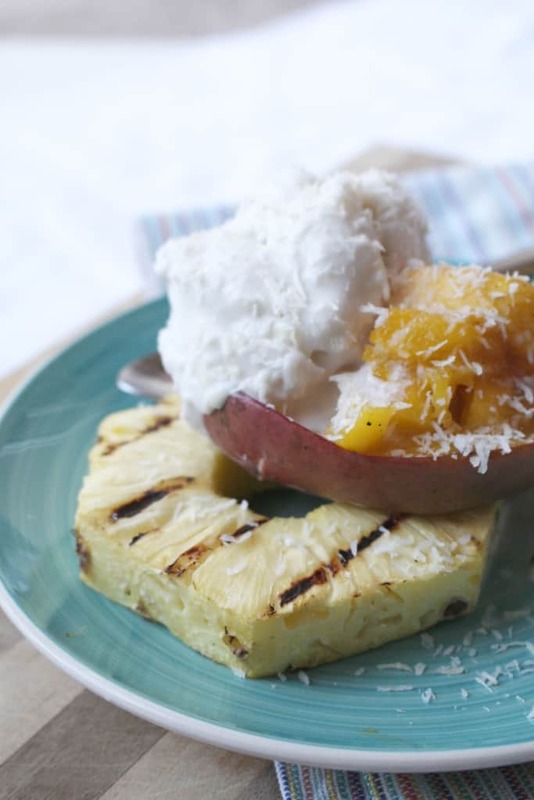 Celebrate grilling season by putting fruit on the grill and topping it with an incredibly creamy sorbet! To make the sorbet, whisk all ingredients to a medium saucepan and warm over medium heat until smooth, and sugar has dissolved. Transfer to a large bowl and refrigerate several hours until completely cold. Pour into ice-cream maker and churn according the manufacturer’s instructions. While the sorbet is churning, heat outdoor grill or grill pan. Add pineapple slices and mango halves (cut side down). Cook about 3- 5 minutes until beginning to soften and grill marks appear. Flip over and continue cooking on the other side for an additional 3-5 minutes. *Keep an eye on the fruit to make sure it does not burn. Remove from grill and allow to cool slightly before serving with sorbet. *Leftover sorbet can be transferred to a freezer safe container and kept for 5-7 days in freezer. *If you don’t have an ice cream maker, pour sorbet mixture into a frozen shallow metal pan. Freeze, preferably on the top shelf where it’s the coldest. Every 45 minutes remove the sorbet and whisk vigorously with fork or hand mixer. Repeat until desired consistency (about 4-6 hours). 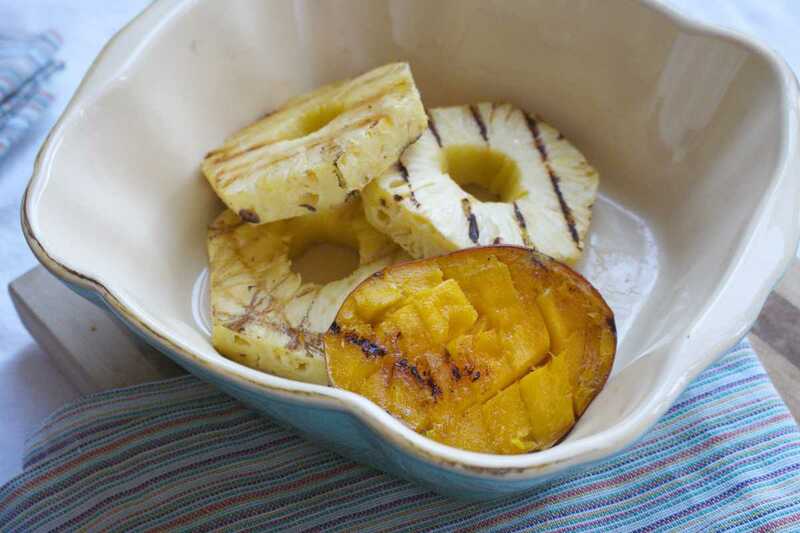 I love grilled summer fruit, especially pineapple! 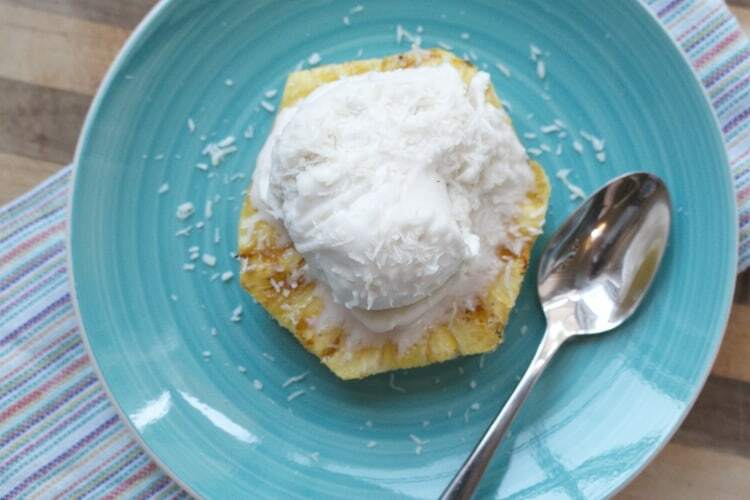 This healthy pina colada is such a great idea for summer. I love dairy-free ice creams and cannot wait to try this sorbet recipe, sounds so, so good. That makes two of us, Alex! 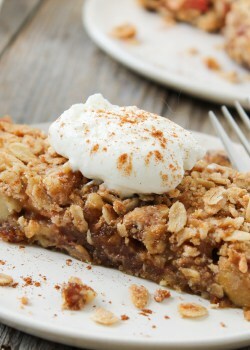 Yum- I love that this recipe doesn’t require you to turn on an oven- a must in summer heat! Great flavors too- pina coladas are the best! Totally! Love coconut pina colada flavor!